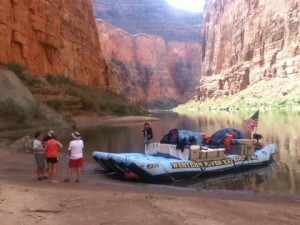 Everything about rafting the Grand Canyon was excellant. The communcation on reservations and what is needed for the trip and what to expect was very organized. The Western River guides were tremendous in their personalities, their cooking, and their overall expertise. We had a great group of people on our Grand Canyon trip and despite the cold and muddy water of the Colorado River, we had a blast.